I must have read Christiane de Nicolay-Mazery's The Finest Houses in Paris dozens of time, and yet, I failed to make the connection that the Paris house that I featured on my blog last Monday, and which first appeared in the October 1999 issue of House & Garden, is also featured in the de Nicolay-Mazery book. As you may recall, the house in question was once a garage that had been beautifully transformed into an elegant hôtel particulier. The House & Garden article captured the home's interiors bathed in sunny light, which helped to spotlight the interior's Neoclassical details. 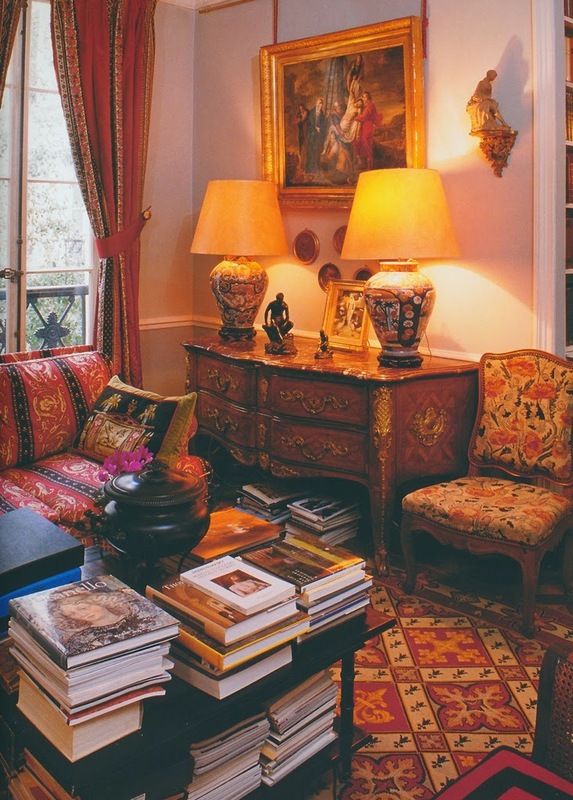 But in the de Nicolay-Mazery book, it is the home's Russian flourishes that are profiled, with the author noting that, "in the main salon, a visitor is transported deep into Russia." 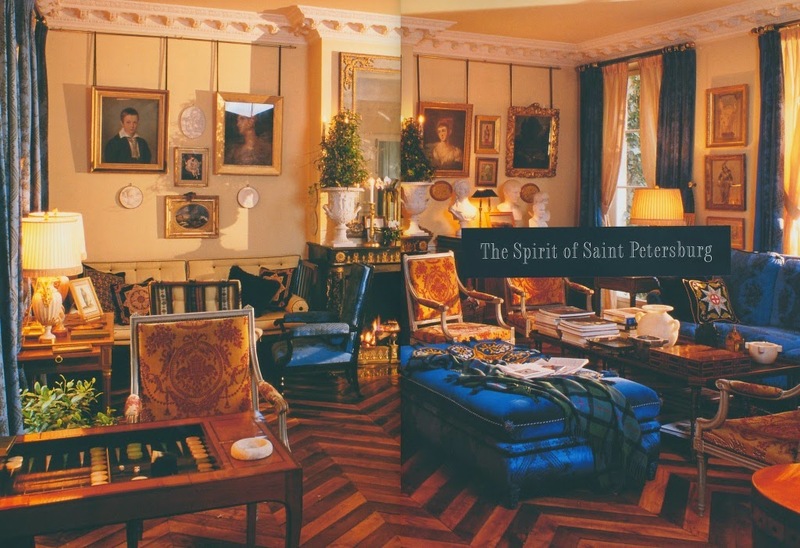 (The chapter's title is even Russian-inflected: "The Spirit of Saint Petersburg".) I must admit that when I wrote last week's blog post about the house, I didn't detect a Russian feel to the house. 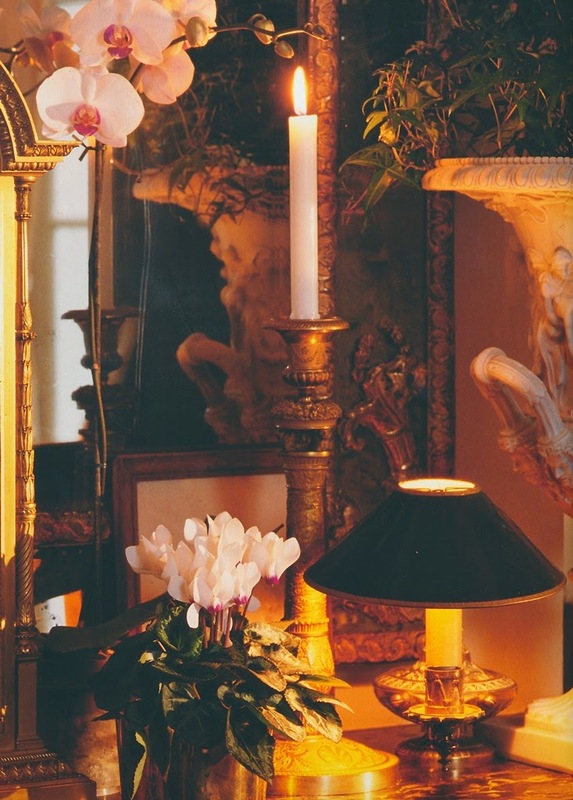 However, after looking at this book's photos with their dreamy and rather brooding light, I guess that the house does conjure up Russian fantasies...well, somewhat. I still believe that the house has a much stronger Neoclassical style to it than a Slavic one, although I do think that the intricately-stained wooden floors and the sumptuous fabrics could pass for Russian. It doesn't really matter, because the house looks splendid in both publications. It's just interesting to see the house through the lens of a different photographer. 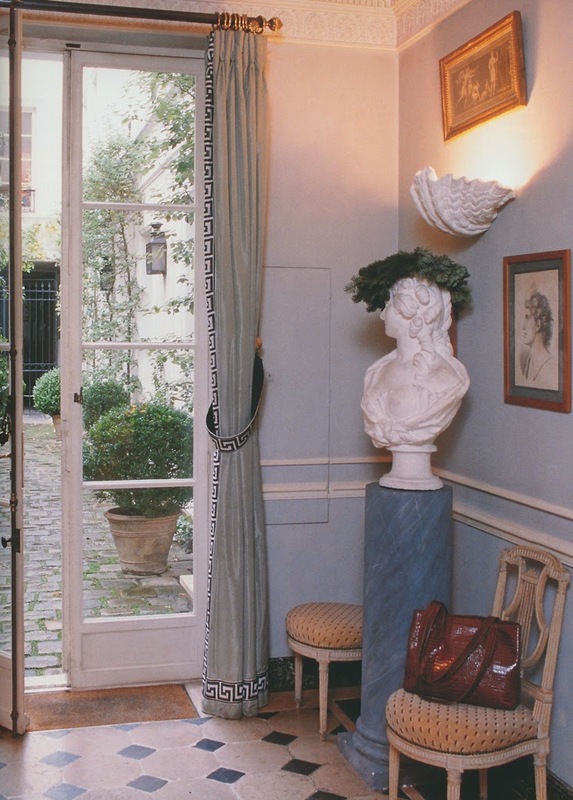 *If you're looking for a beautiful book about Paris interiors, I highly recommend The Finest Houses in Paris. It is truly one of my favorite books. It is out of print, but copies are available on Amazon and Barnes & Noble. 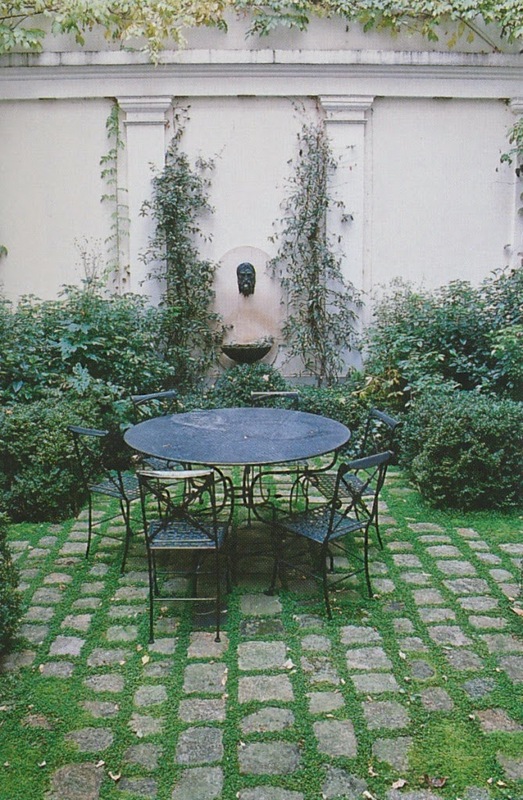 All photos from The Finest Houses in Paris by Christiane de Nicolay-Mazery, Jean-Bernard Naudin photographer. Thank you for this post, Jennifer! I also admired your last post on this house, and I too failed to realise it was the same as the one in Christiane de Nicolay-Mazery's book, which I also have. It's one of my all-time favourites. 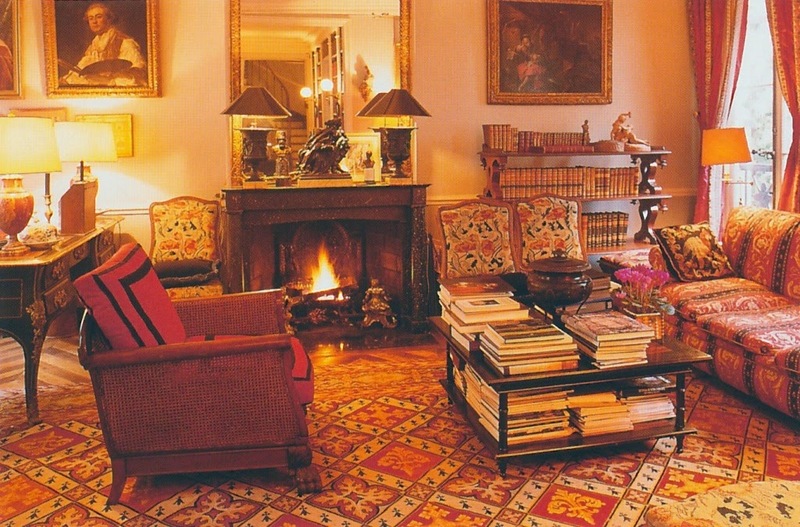 I would also recommend her "French Interiors - the Art of Elegance". However, what prompted me to write this comment is that there is no mention whatsoever of this lovely place ever having been a garage in the book. 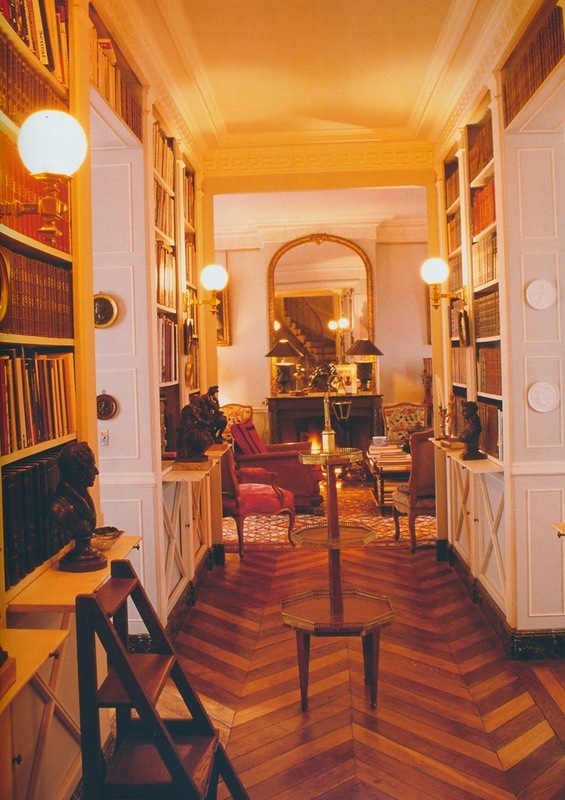 It is described as an 18th-century hôtel particulier and was once inhabited by the legendary beauty, Madame Récamier. 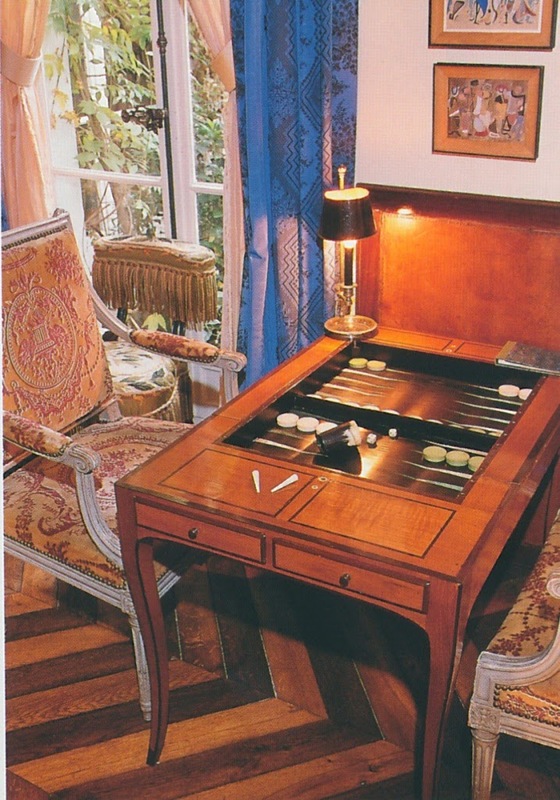 And the current owner is a direct descendant of Napoleon's younger brother Lucien - I doubt very much she would have to convert a garage :-) So how did this bizarre affirmation get into the House & Garden article? Most odd! Be that as it may, it's a glorious house (I agree, not really Russian at all) - and thank you for reminding me of this lovely book. So sumptuous, so comfortable, so welcoming. When can we all move in? Looking at these images, the fabulous art and artful accessories is simply mesmerizing Jennifer. 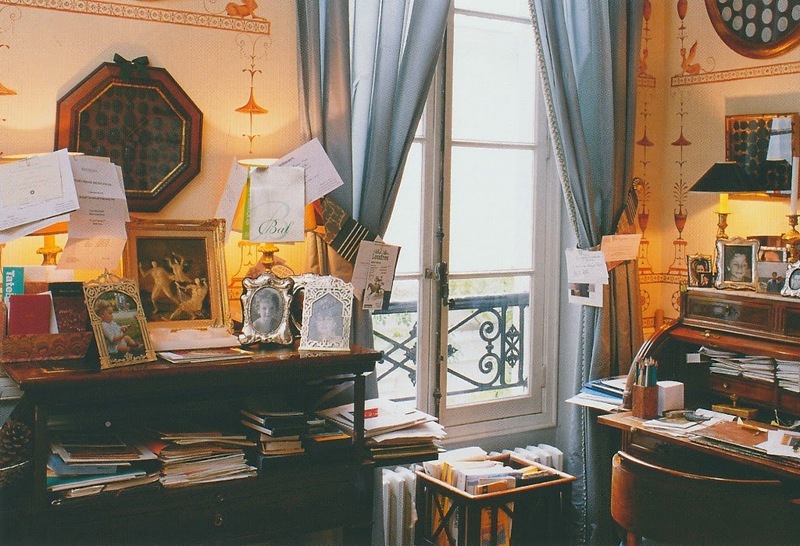 I would love to have the book, The Finest Houses in Paris. Thank you for a wondrous feature. Jennifer, I too have this book and it is one of my all-time favorites! I love all of the books stacked everywhere. However, I do not recall it being a former "garage?" Yet, it is absolutely stunning!! I live in a small townhouse and have over 80 design books. They are stacked on top of, and underneathe, a console table in my upstairs hallway since I have no library. My den does have built-in shelves, but they too are crammed with books, collectibles and small paintings. Thank you so much for posting these wonderful photos! Anonymous and Toby, I went back to the 1999 House & Garden article to make sure that I had not misread it. According to the article, it says that the house was a "garage and coal cellar." And yet, the de Nicolay-Mazery book makes no mention of it. Strange, don't you think? Yes Jennifer, I think the H&G article must have this house confused with another. I too pulled my Nicolay-Mazery book again and could find no mention of it being either a garage or a coal cellar??? I am not familiar with coal cellars in Europe, but here in the states, cellars (even walk-outs) typically do not have those incredible windows and proportions!! I have seen some fantastic "luxe" things done with barns (like Bunny Williams') but you can still tell that at one time it was a very large building, and is still shaped like a barn! And I will have to see where I can find more room for additional shelves to be built. Thank you for your suggestion! Jennifer, Anonymous, whoever wrote the House & Garden article must have got this house mixed up with another place... It's so obvious from the proportions and details, like the cornices and decorative plasterwork, that it could never have been a garage. Strange, indeed! For once, I must disagree with The Other Toby. The HG article made a specific point about the conversion of a former garage--and the configuration of rooms which was made possible by starting with an empty space. Cornices and decorative plasterwork may look as if they were there for centuries, but surely they were added to create an illusion? Hard to believe that its garage origins were made up from whole cloth by a fanciful journalist! I also love this home! 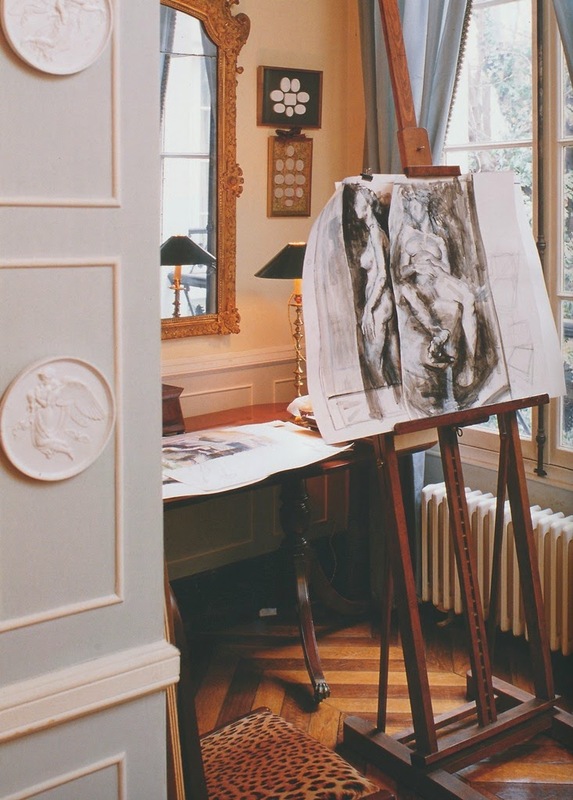 The wall of the study is included in Florence de Dampierre's beautiful book Walls. It is actually the reason I bought the book! As someone mentioned in the June 23rd comments, it was inspired by Osterley Park's dressing room. Just gorgeous!